Born and raised in West Seneca, Dr. Rappold is a graduate of West Seneca West High School. She received a Bachelor’s Degree in Biochemistry from Canisius College in 1998 and continued her education in the great tradition of the world renowned U.B. School of Dental Medicine. 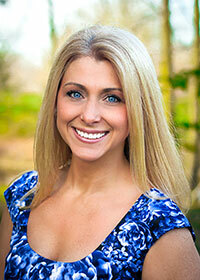 Dr. Rappold graduated Doctor of Dental Surgery in 2003. While at U.B., Dr. Rappold minored in Pediatric Dentistry, and volunteered her services for two years at the dental clinic in Children’s Hospital of Buffalo. Upon graduation, she undertook further training to broaden her skills in the residency program at St. Francis Hospital in Hartford, Connecticut. In her free time, Dr. Rappold enjoys wakeboarding, kickboxing, camping and fishing.